NCERT Solutions for Class 9 Hindi Sanchayan संचयन Bhag 1 are the part of NCERT Solutions for Class 9 Hindi. Here we have given NCERT Solutions for Class 9 Hindi Sanchayan संचयन भाग 1. 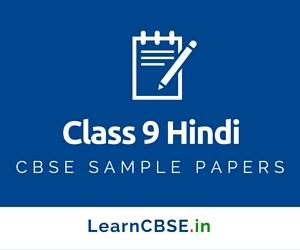 We hope the given NCERT Solutions for Class 9 Hindi Sanchayan संचयन Bhag 1 will help you. If you have any query regarding NCERT Solutions for Class 9 Hindi Sanchayan संचयन भाग 1, drop a comment below and we will get back to you at the earliest.